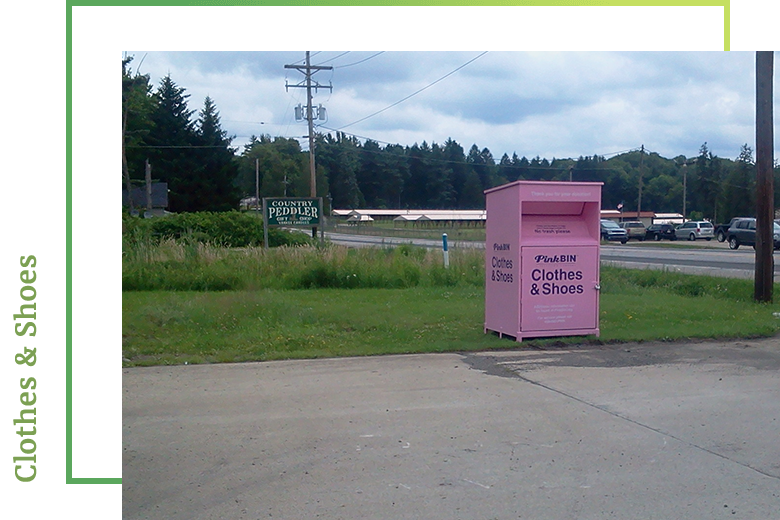 Pink Bin is committed to ensuring the total satisfaction of every person who has given us permission to place a Pink Bin. Pink Bin holds itself to the highest standard for managing its collection containers. Not all textile recycling companies care about collection standards. Comply with any applicable zoning and or permitting requirements, including state, local and municipality requirements. We maintain our bins to the highest service and aesthetic standards. We employ our own full-time staff and do not use subcontractors. The use of our computerized tracking and forecasting system helps us ensure that clothes are collected regularly which helps prevent overflows. We also pick up and properly recycle/dispose all items left around drop boxes, including non-textile goods and garbage. If you have a service issue with one of PinkBin’s collection bins, please contact your local Pink Bin office by phone, or call the number on your bin.